Although Mary had been born in 1516, it was only in later life that she married. Her life had been a turbulent one. As the daughter of King Henry VIII and his first wife Catherine of Aragon, she was later deemed to be illegitimate. When Henry VIII realised that his wife Catherine would not be able to provide him with a male heir, he had their marriage annulled. Catherine had previously been married to Henry’s elder brother, who had died, and this provided the grounds for the annulment. If then the couple had never been married then their daughter Mary was illegitimate and had therefore no claims on the throne of England. And yet, Henry went onto have an heir who died early and apart from a brief time when Jane Grey was proclaimed queen, Mary eventually ascended to the throne as Queen Mary the First of England. She was past her mid-thirties when she became queen and yet it was essential to her that she produce a male heir and to this end – and for sound political reasons – she quickly married Prince Philip of Spain. He was ten years younger than Mary and the couple didn’t speak each other’s languages but these matters are irrelevant in the bedroom. Mary soon announced that she was pregnant. As expected, her monthly periods stopped, she suffered from morning sickness, and as time went by and her baby bulge increased she felt the baby moving. Whether Philip knew something the rest of the world didn’t, we don’t know, but he wrote to his brother saying that he doubted that the pregnancy was genuine. Philip was correct. No baby appeared. Mary regained her figure. Philip left England. Mary wrote repeatedly, beseeching her husband to return. He did so briefly. Shortly afterwards,Mary again announced that she was pregnant. Once again she exhibited all the signs but no child resulted. 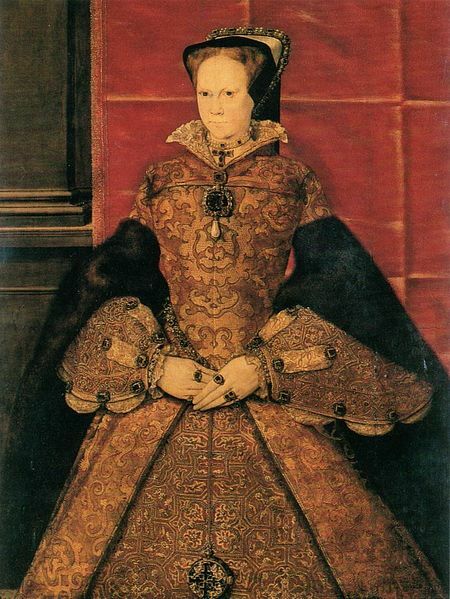 She died, still childless, in 1558 at the age of forty-two.